Pedder Automotive Group was looking for quality trucker hats for higher end client giveaways. 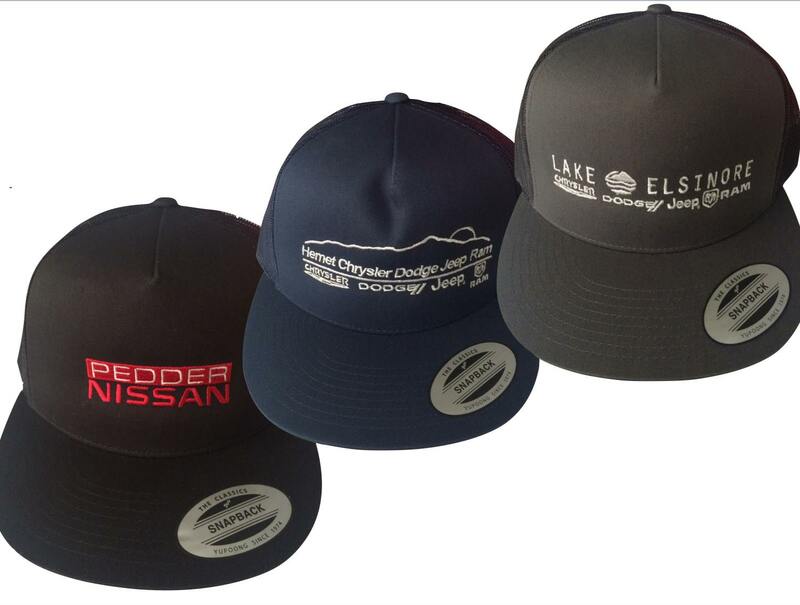 We created these branded hats showcasing the three different branches of their group: Pedder Nissan, Hemet Chrysler Dodge Jeep & Ram, and Lake Elsinore Chrysler Dodge Jeep & Ram. All three versions of the cap came out perfectly, and Pedder Automotive Group was very pleased with the results.